Well hey there! I’m Emma from mmmEnglish! In this lesson, we’ll go over the pronunciation of some really common English expressions that native speakers use when they first meet someone. Do you have plans today? Would you like to get a coffee with me? I’m afraid I can’t today. Perhaps we could meet another time. That’s not a problem. I suggest you call me when you are available. Did you understand that whole conversation? I think that you probably did and I also think that most native English speakers that you come across, they don’t actually speak like that, right? If only everyone spoke as clearly and with such good pronunciation. But let’s take a look at a more realistic conversation, something a little similar to what you’d hear in the real world. What are you up to today? Do you want to grab a coffee? I’d love to but I’m a bit busy today. I’ve got a few things on later. That’s cool. How about you give me a call when you’re free? So native English speakers have a habit of reducing and contracting words when spoken and we link sounds together when we speak so it’s really difficult to know where one word ends and another word starts. It’s especially common when we use everyday expressions, really common ones. We use them so much that we get lazy with our pronunciation. But that can make it really hard for English learners like you who are practising with conversation that’s like this but most of the time, this is the actual situation. 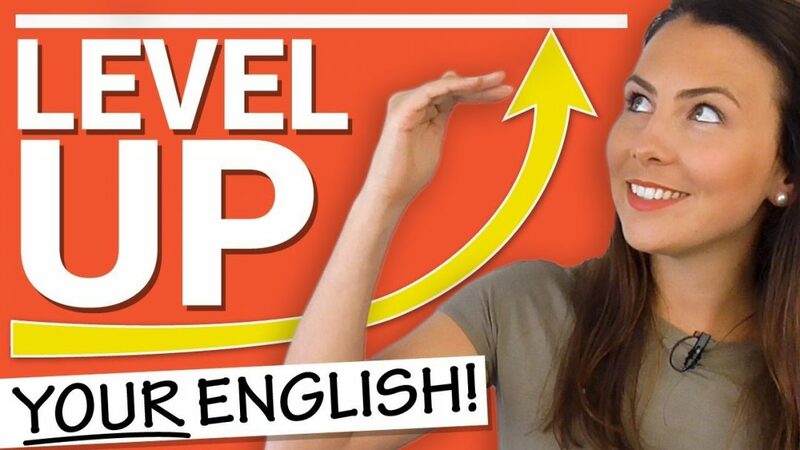 So in this lesson I’m going to go over some common and natural English expressions that you’ll hear and maybe even use yourself every single day. By the time that we’re done, you’ll have a better idea what these expressions mean and how to respond but you’ll also know how they’re pronounced naturally by native English speakers. And it could be quite different to what you think. And make sure that you hang around until the end of the lesson because I’ve got a surprise for you and a few bonus expressions to practise with me. Let’s start at the beginning. There are lots of different English greetings – things that we say when we first meet someone. Good morning. How are you? All of those things. But let’s focus on ‘How’s it going?‘ So this is kind of a strange one. It’s an informal way of asking someone how they are. So you might even say this to your boss, if you get on well together. But you probably wouldn’t use it in formal situations. If you ran into your neighbour at the supermarket, they might say to you “How’s it going?” It’s informal, it’s friendly and it’s used all the time. So let’s take a closer look at the pronunciation. So firstly, we don’t pronounce the full verb ‘is‘, we combine ‘how’ and ‘is‘ together to make a contraction. It’s really unnatural to say ‘How is it going?‘ in this context so make sure you use the contracted form like native English speakers would. So notice how the letter S is pronounced as the voiced /z/ sound, right? Next trick. When a word starting with a vowel follows a consonant sound, any consonant sound but in this case /z/ then we can link those sounds together. They should push together those sounds. And finally you may not hear a native speaker and finally you may not hear a native speaker. So this expression is really casual, you’ll often just hear it pronounced with the /n/ at the end instead of -ng. So that’s ‘goin’ instead of ‘going’. So let’s put it all together. The intonation goes down at the end. You try it! Awesome! That sounds really good! When this happens all the time, a time when you’re getting introduced to someone new. Someone that you’ve never actually met before but you know a lot of information about them. So maybe it’s the husband of your colleague and your colleague talks about her husband all the time. You don’t know them, you’ve never met them before but you know of them. You know some information about them. Let’s take a closer look at the pronunciation. It usually joins together with the subject in spoken English so it becomes a contraction. Make sure you have that consonant sound coming out right. It’s one that you sometimes forget isn’t it? On the end. Now the H of ‘heard’, it often gets a little lost here. It’s like the sound from the end of ‘I’ve‘ links directly to the vowel in ‘heard’ Now these words all pull together, don’t they? You can hear those sounds coming together and in fact, we hear the flap T there as well. Well in my Australian accent you do and it’s also really common to hear that in American accents as well. But the T almost sounds like a /d/ sound and that happens often in English when the letter T is between two vowel sounds like here. Now even though the letter T is at the end of the word ‘lot’, it’s followed by a vowel sound and in spoken English these words would pull together. So you get a T between two vowel sounds. It makes a /d/ sound. With that T at the end, you’ll hear a stop T. So I don’t fully release the air after that T to make a complete T sound. Don’t release the air. Let’s try it all together now. All right so we’ve broken the ice a little there but now where do we go? What next? What are you up to? Up? If you’ve ever been confused by this expression, you’re not alone, it’s even confusing for me when I think about it. ‘What are you up to?‘ is another way of saying what are you doing now? If you’re curious about what your friend is doing, you could say “Hey, what are you up to?” Or you can use it with another time expression to ask about future plans. Do you have any plans on the weekend? So this expression has a couple of meanings. So when we start looking a little closer at the pronunciation, it gets really interesting. Now remember that flap T from before. Here it is again. In spoken English, ‘what’ and ‘are’ come together. The two vowel sounds make the /t/. The T sound turn into a D. The word R is unstressed here so it reduces right down to become the schwa sound. And ‘you’ also reduces down as well. We hear the schwa again. And you’ll hear that question all the time in spoken English. It’s kind of confusing, isn’t it? But understanding how these words are spoken will help you to understand more native English speakers. But let’s get back to this question. So the unstressed schwa and the vowel sound that you hear in ‘up’ are very, very similar. So they actually pull together. So you really just hear ‘you’ as the sound. Crazy, huh? And you wonder how sometimes it’s really difficult to understand native English speakers, right? You have a go. Now it’s important to note that there are a lot of different variations between accents so you may hear “Whatcha up to?” where the ch consonant sound is used. Try it. So this is such a common expression in English. If you hear a whole lot of mumbling at the start of a conversation with a native English speaker, don’t freeze because they are probably just using these really common expressions and being lazy about it. So for you, understanding how the natural expression is different from the written words is really, really important. Now to answer this question, you would simply explain what you are doing at that moment or your future plans if there was a time reference. Now it’s hard to believe that even these quick responses actually reduce down. So we don’t hear the T in ‘not’ Again that -ng when spoken quickly at the end of a word. So this is the unstressed form of ‘just’. So this also helps to explain that the activity that you’re doing at that moment, it’s not really important and notice as well that I’ve completely dropped the pronoun and the auxiliary verb. 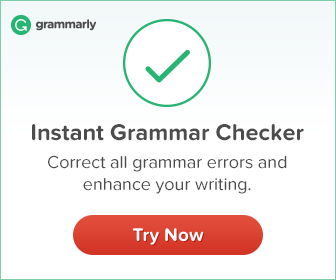 I didn’t say “I am just finishing this email” I could but often native speakers will drop this information if it’s unnecessary. So the question that was directed at me “What am I up to?” I don’t really need to clarify that in my answer. I’m talking about myself right? So I dropped it, it’s not that important. So tell me what did you think of this lesson? I hope that it was useful for you. 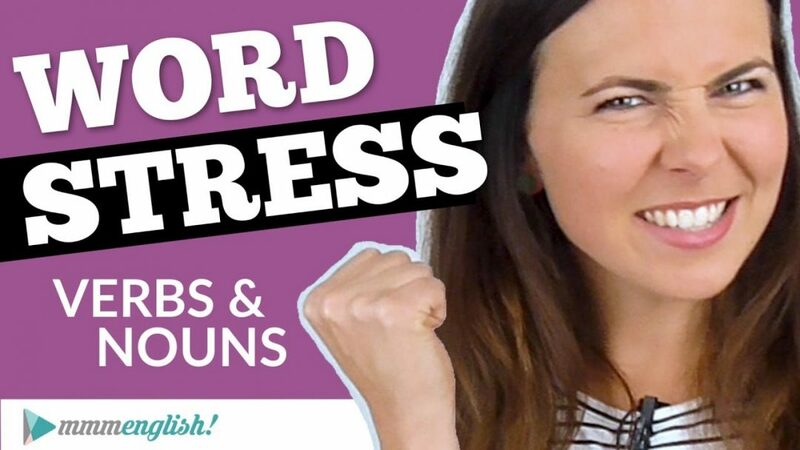 In a minute, I’m going to take you on a bit of an adventure outside of my studio to practise some more common expressions – ones that I use all the time. But before I do, I want you to add some common everyday English expressions that you want me to include in a lesson just like this in the future. If there is any that you want to understand more then add them into the comments below so that I can make a lesson. Shah: Hi! I’m ready to practise! Emma: Okay! Hey I’ve got an idea. Why don’t we practise outside? I’ve never really filmed outside before but it’s probably going to be really windy, bit of traffic, but I’ve been meaning to do it for a while. Do you want to try it? Let’s just give it a go, yeah? Alright so, ‘give it a go‘ is something that I use all the time. It means to try something new, right? Like right now, I’ve never filmed outside before and I’m not really sure how it’s going to turn out but I want to just see how it goes anyway. I would say all the time, give it a go. All of these expressions that have really similar meanings. For me I always say “give it a go“. It’s really easy to just roll off the tongue. I’m going to talk about how all of these words kind of push together when they’re spoken naturally because you will never hear someone say “let’s give it a go” but instead “give it a go“. And so what’s happening is all of the words that end in the consonant sounds, are actually linking to the ones that follow that are vowel sounds. And notice how ‘it’ is unstressed so it reduces down to the schwa sound. And also that T is a stop T which means that I’m not fully pronouncing it, I’m not letting the air go afterwards. So it’s stopping, I’m not releasing the air. So that article, ‘a’, its a schwa and it reduces right down. You might even hear that T, that flap T sounding more like a D there because naturally in my pronunciation, with my accent, it’ll reduce to that flap T sound. So why don’t you give it a go? Try it. Let’s give it a go. Right now, let’s go. Hang on a second I’ve got to get my phone. Okay now let’s go give it a go. Hang on a sec. I’m going to take this. Hi mum. Hey. Can I give you a call back? I’m a bit busy. Yep. Alright I’ll talk to you soon. Hang on a sec, I’m not coming to dinner tonight. I’ll come over tomorrow. Okay. See ya. What’s a ‘sec’? Well a ‘sec’, is it’s a short version of the word ‘second’ so I want to focus on the first three words. So they kind of all come together, don’t they? When I say them quickly. And that’s because the consonant sounds at the end of these words links straight to the vowel sounds that follow. So the ‘a‘, the article links straight on behind. It’s just a schwa, it’s unstressed. It’s really soft and flat. Try it with me. Nice one! Let’s try another! 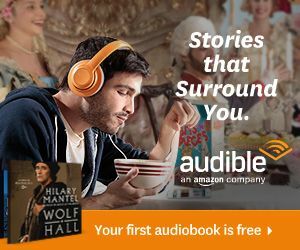 So instead of saying ‘we are‘ – it sounds quite sort of stiff and formal but you know if you’re speaking more naturally just like a native English speaker would, you would probably just contract those two things together. And then at the end of ‘running’ usually what happens with native English speakers is instead of pronouncing that sound at the end, they get really lazy. Then we’ve got ‘out of time‘. Now if they’re pronounced really clearly, you can hear all of those words but instead when spoken naturally, you’ll hear ‘out of’ becomes ‘outta’. And that’s, you’ll see the flap T there. You’ll see that will reduce, that will become the /d/ sound. That’s my accent anyway. The Australian accent, will use the flap T, same with the American one. And ‘time’ is a stressed word there, so we hear it really clearly. Why don’t you try it? Well I hope you enjoyed that lesson. It’s been fun taking you outside and I think we’re going to keep going with this. We’re going to keep giving it a go. 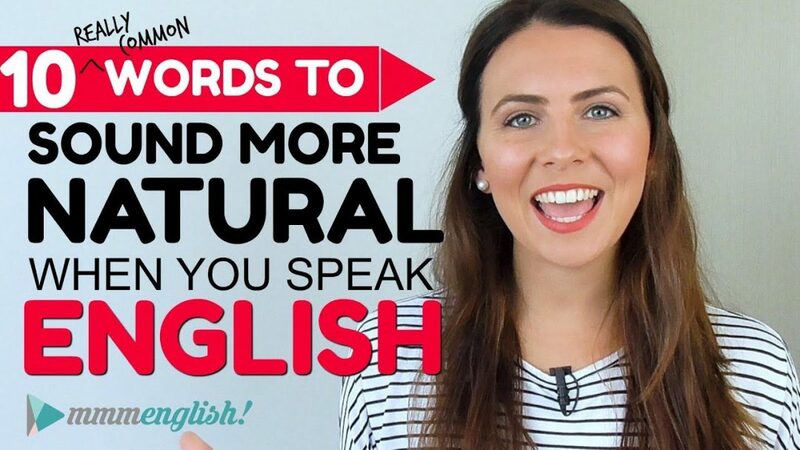 If you enjoyed this lesson, then make sure you subscribe to the channel by clicking that subscribe button over there and if you’re ready to check out some new lessons with me, some pronunciation lessons or lessons about natural English expression, then check out these ones right here and I’ll see you in the next lesson! I would love to have a personal one to one class -do you do that? Really hope to see you on live emma. Dear Emma, I’d like to thank you for this really interesting and useful lesson. I often say: give it a try. But I haven’t known about: give it a go. And I like it! I’m very pleased with all your lessons! Glad you enjoy my lessons Irina! It s really amazing to say I ‘ve given it a go .all your lessons are fascinated for us .and let us progressing speedily as well. Hi Emma .I hope deeply to meet and see you on live.i always miss you and your recent and smooth voice.you ‘re a lovely and enjoyable english teacher in my life .I’ve learnt too much since I started following your video lessons. Hi Emma, looking forward for your next lessons, many thanks for it. It helps me very much for better understanding of native. Glad to hear it Olda! Thank you so much Emma that was very relevant lesson . I should have a teacher like you! Thank you for your lessons and your smile. Hello Emma, could you please made some more imitation lesson. Past imitation lessons were so helpful, thank you..
You are awesome and I liked your lessons a lot. I know this expression; How are things with you? I hope you to pronounce it for me in the upcoming lesson. Thank you Emma so much! Very helpful. I am trying to learn how to pronounce ” How are you going mate – all right?” Still can’t make it in one breath! Keep trying! You’ll get there Zita!! Mam I would be thankful to you if you’ll provide a series of tenses. Thank you for amazing lessons…it really helps to build up my confidence….your work is just amazing. At the end of all your lessons I look for a botton to click I liked it but unfortunately I never find it. When watching my lessons on Youtube, there’s a button underneath the video that looks like a thumbs up! Click that to give it a ‘like’ 🙂 Thank you! Hi emma i enjoyed your videos a lot they are so useful Thank you for them but i wana asl you sth, would you plaese make a video about how to correctly pronounce TH in words like tooth, breath, or…?